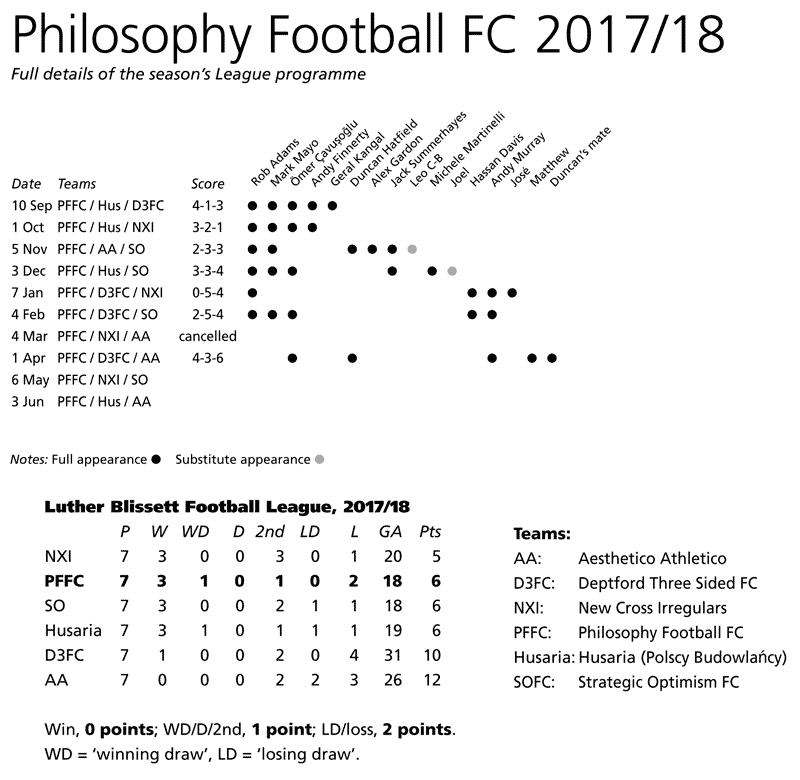 Once again Philosophy Football FC will be playing regular 3sided football in the Luther Blissett Football League. Matches take place on the first Sunday of each month in Deptford Green, Fordham Park, New Cross, and start at 2pm. The draw for fixtures will take place on the first Sunday in September, and this fixtures list will be updated once that has happened.